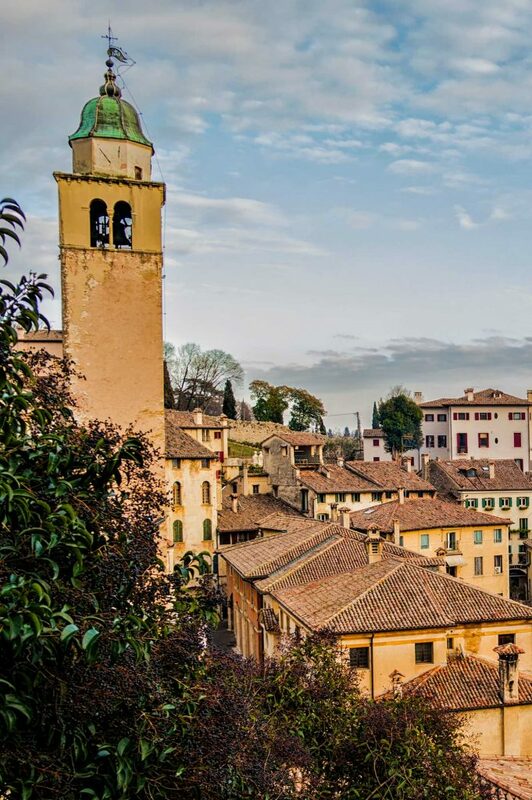 Asolo is a small town with charm where everything is dedicated to art: the romantic landscape, the winding houses, palaces, villas…. Many intellectuals and artists loved the town and decided to live here. Founded in the Paleovenenta era, Asolo experienced a great period between the fifteenth and sixteenth centuries, under the guidance of Caterina Cornaro, former Queen of Cyprus. It was a period full of cultural changes, with many writers and philosophers engaged in describing the innovations introduced by Venetian humanism. This is a tradition that Asolo has preserved over time attracting the attention of many artists over the centuries; from the English poet Robert Browning to the explorer Freja Stark, from the musician Gian Francesco Malipiero to the divine Eleonora Duse and from Giosuè Carducci to Ernest Hemingway to Igor Strawinsky. Immerse yourself into a village that is full of interesting and romantic corners. Explore the typical artisan shops under the gothic arched porticoes and be amazed by the artist’s work…. the colourful facade of the house of Elenora Duse … and by other exciting architecture: “Loggia della Ragione” the Palace of Reason (now home to the Civic Museum), the old Cathedral, the castle of Caterina Cornaro, whose walls reach the top of Mount Ricco where you can find the Rocca, a 12th century fortress. Asolo has wonderful surroundings! 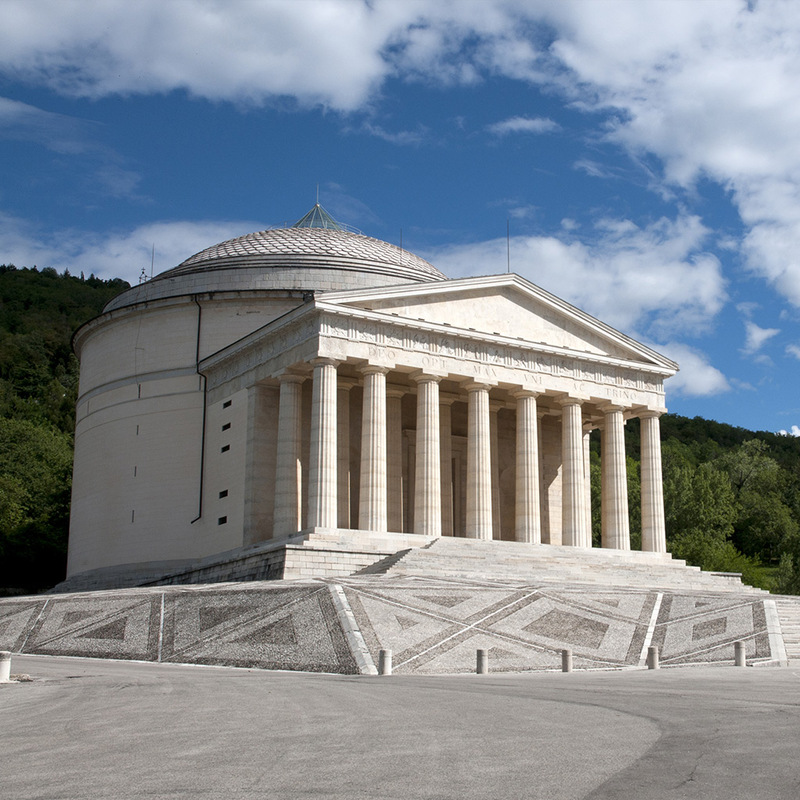 Possagno to the North, birthplace of the neoclassic sculptor Antonio Canova or visit the “Tempio di Canova” a church designed by the sculptor, and the nearby Canova Museum and Cast Gallery where hundreds of plaster casts of the artist are on display testifying the accuracy of his artwork. 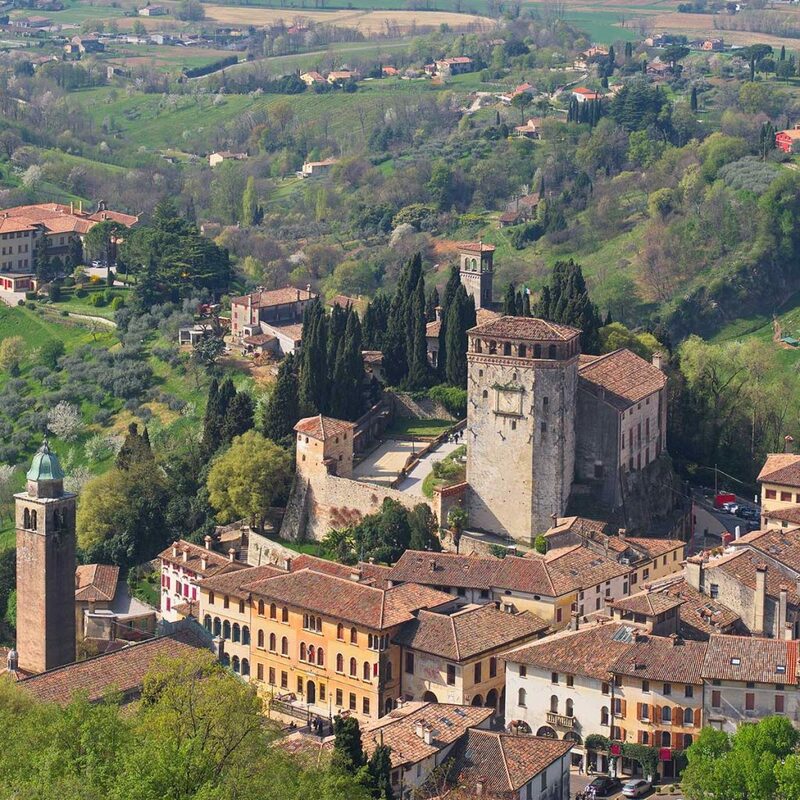 Castelfranco to the South is a historical treasure-chest surrounded by reddish medieval walls and where you can find many interwoven architectural styles. A must-see is the eighteenth-century jewels of the architect Francesco Maria Preti, the Academic Theater and the Cathedral, where you can admire Giorgione’s finest work the “Madonna and Child with Saints Francis and Liberale”. Maser, to the East, is renowned for the spectacular Villa Barbaro, which is a UNESCO World Heritage Site, built approximately halfway up the slope on the hills of Asolo, a masterpiece by Antonio Palladio. This noble weekend retreat is an image of harmonious architecture, where the central block (living quarters) and the two wings (for agricultural use) are aligned in perfect symmetry. Six rooms of the villa are adorned with a series of frescoes by Paolo Veronese. Villa Barbaro is an outstanding work of art. 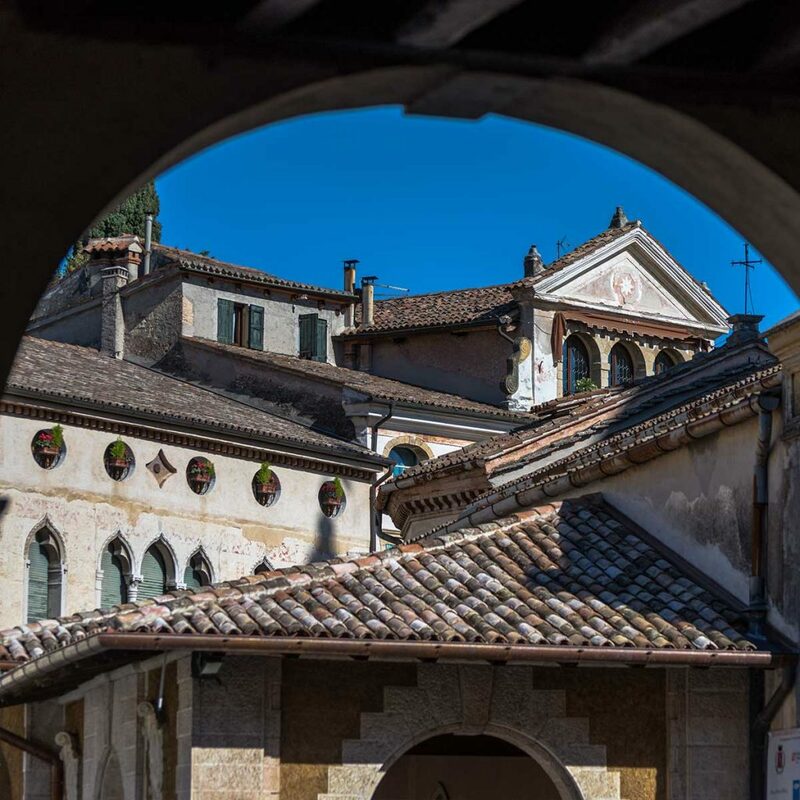 Every second Sunday of the month, Asolo has an antique market, where you can find furniture, jewelry, silverware, prints and books of prestigious value.